My most recent work has evolved from investigating how we access memories and the emotional and sensory responses to memories, to responding to more immediate occurrences and observations. It is through the visual medium of paint, collage and drawing; using visual elements of line, form, shape and colour, that I articulate my own and shared responses to people, places and experiences. Through the process of abstraction I edit, modify, enhance, enlarge, contract, exaggerate etc elements of the observed and the remembered and marry them together. John Elderfield et al (2011) writes “A representational painting can be composed through abstract manipulation of the medium of painting and also the less familiar one that an abstract painting may be created through acts of representation.”; a marriage of the abstract and the representational, working against one another and in unison. Memories are precious things; even the bad ones, we learn from them, teach ourselves and teach others, we react and respond and let them shape us. My late grandmother developed dementia and lost almost all of her memories, not remembering who I and her other grandchildren were, it slowly consumed her entire mind. Her and her condition were one of the main reasons why I began to respond to memories of people, places, happenings of my own and those that were shared or recounted by others. Though memories can become muddled, bits forgotten or changed by the mind. My work has evolved from being based purely on emotive responses to memories of old to incorporating more recent memories, and observations freshly accumulated. The swirling greens, reds, purple, Naples yellow and blues of what are landscapes are loaded with memories of a place; both from long ago and those more recent. Culminating in a swirling mess of a semi recognisable world while also displaying a world passed, lost, fractured or up-side-down. Semi abstract figures tell the story of strangers, friends, family and lovers alike. They are also a response to literature, film, music, poetry and even a response to other works of art, while also reflecting upon place and time. As mentioned above John Elderfield writes about the exchange of the abstract with the representational and vice versa. It is the different energies of people, things, places and happenings that I record and remember in paint. 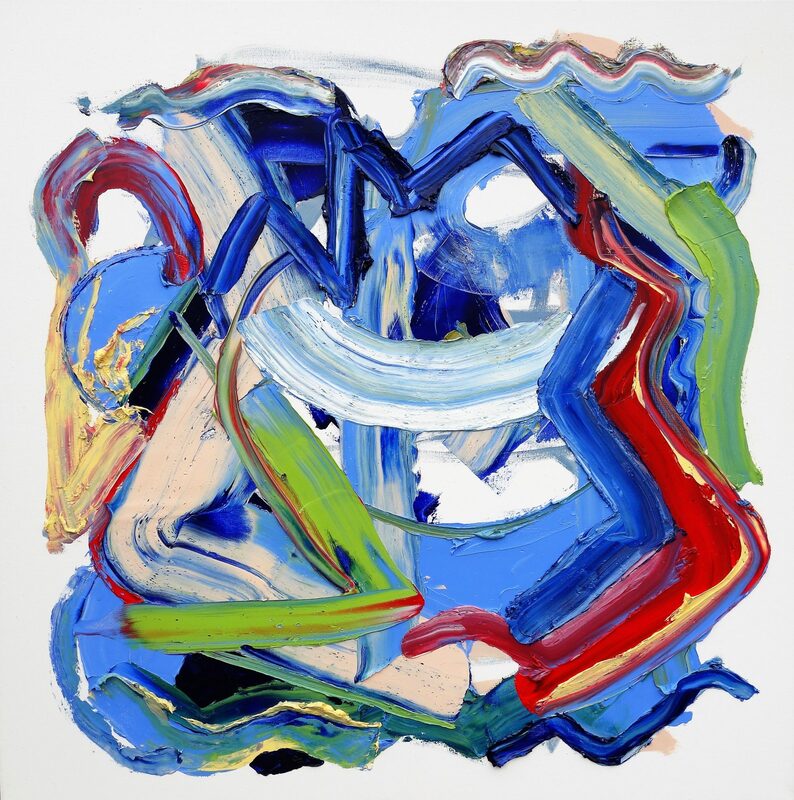 Eldefield, J et al 2011, de Kooning a retrospective, The Museum of Modern Art, New York. Thank you very much Michael. Great success often has a humble beginning.